Come join FWBCC and Paint the Coast on March 23 at 6:30 pm for a painting party! All proceeds will be donated to the FWBCC Memorial Scholarship Fund. Limited seats are available so reserve your seats today! 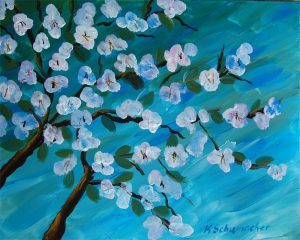 A painting lesson, a glass of wine, art for your home, and donate money to help high school seniors pursue a music degree…..it’s a win-win!